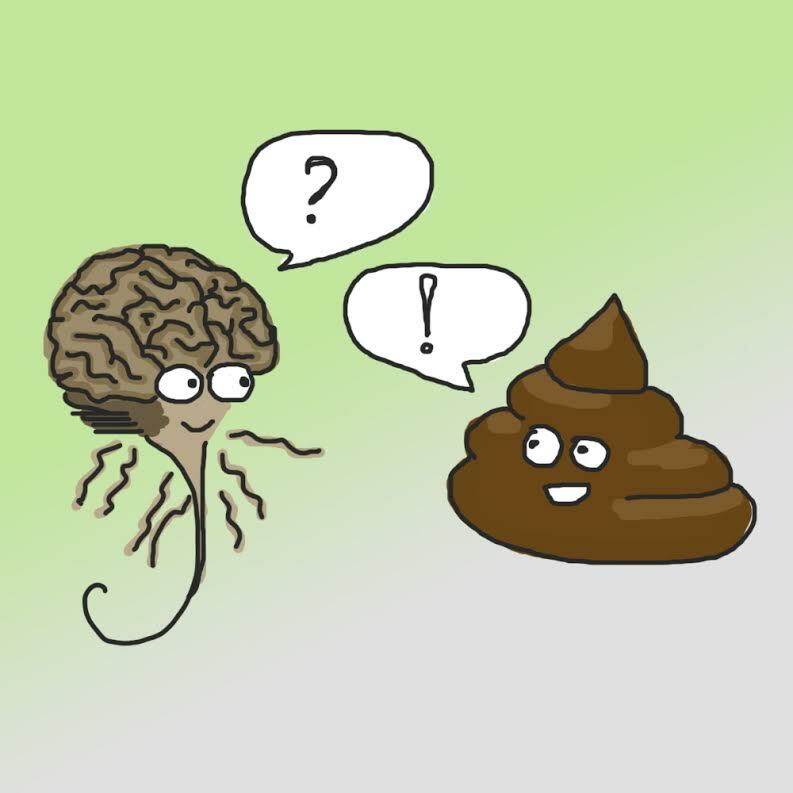 This may come as a surprise, but researchers at the Donders Institute are investigating poo. Alejandro Arias-Vasquez and Jeffrey Glennon are studying whether the bacteria that live in our gut can explain changes in our brain and behavior. What can the gut teach us about the brain? The idea that our brain is strongly connected to our intestines is not new. Back in 1872 Charles Darwin wrote that strong emotions influence our bowels. You yourself may be familiar with the feeling of having a big knot in your stomach when you’re excited or nervous. It also works the other way around: your intestines can influence various functions in your body via the immune system. Billions of bacteria and other miniscule creatures (microorganisms) live in your gut to help with digestion. Unborn babies don’t have these bacteria because the uterus is a sterile environment, but as soon as the baby is born and exposed to the environment, bacteria enter his/her intestines. For the rest of an individual’s life these so-called microbiota in your gut continue to develop. Not only does your diet influence your microbiota, but also how your body handles diseases, antibiotics and stress. Prolonged stress can even cause changes in your gut flora (microbiota) that are recognizable years later. The link between gut microbiota and behavior can be shown using germ-free mice. As these mice are raised in a sterile environment they don’t have bacteria in their intestines. Researchers discovered that these mice responded much more heavily to stress than normal mice because their stress-system was underdeveloped. More importantly, transplanting poo from normal mice to the guts of the germ-free mice improved their stress response. In another experiment, germ-free mice of different races, which in turn have different behavioral patterns, received a poo-transplantation from either their own race or another race. The result was that mice which received poo from their own race showed behavior that was typical for their race, while those receiving poo from another race produced behavior that closely resembled the behavior of that other kind of mice. In humans it is, of course, impossible to conduct such experiments. Nevertheless, there is some evidence that our gut bacteria also influences our behavior. Disruptions in gut microbiota have been related to several disorders such as depression, multiple sclerosis and autism. As we don’t precisely know how this works, Alejandro and Jeffrey will investigate this relationship between microbiota and behaviour in mice, and in humans with autism. In their study, they will use an extract, that is made from bacteria, which can be safely consumed by mice and humans. The bacterial extract will cause a response in the immune system that will influence both the gut flora and the brain. By measuring these effects the researchers hope to better understand how changes in gut microbiota influence behavior. They also hope to discover whether treatment with bacterial extracts can reduce symptoms of autism. Aside from the study above, Jeffrey and Alejandro will also investigate whether people with Attention Deficit / Hyperactivity Disorder (ADHD) have different bacteria in their guts than people without ADHD. To do this, they will collect poo samples from people that are already participating in a large study on ADHD. These people will provide their poo in a jar and give this to the researchers. Not the most pleasant of situations but it should help Alejandro and Jeffrey find out more about how our gut and brain influence each other. This blog was written and translated by Jeanette and can also be read in Dutch here.